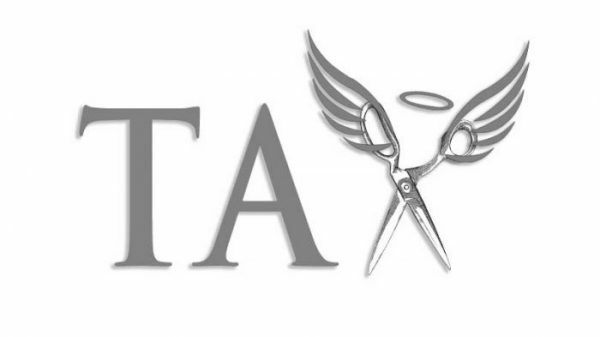 Angel tax has been a cause of concern in the startup and angel investor community since 2012. It is a tax levied on investments in startups by treating the investment, or a part of the investment, as taxable income under the Income Tax Act, 1961. Following is a timeline of the important developments in relation to angel tax in India. 1. March, 2012- Angel tax was introduced by the former Finance Minister Pranab Mukherjee under the Finance Act, 2012. Funds raised by an unlisted company from any individual against issuing of shares in excess of fair market value became taxable under Section 56 (2) of the Income Tax Act, 1961 which provides for taxation of ‘income from other sources’. In 2012, the tax rate was 9 per cent of the funding raised by the company above the fair market value, applicable to all unlisted companies including startups raising early-stage investments from Indian residents. 2. June, 2013- Securities and Exchange Board of India (SEBI) formulated various rules under the SEBI AIF (Alternative Investment Funds) Regulations 2012. It recognised the angel funds, that is, the funds raised by the unlisted companies from individuals, also known as angel investors, as a sub-category with a smaller corpus requirement. Therefore, the capital raised from SEBI-registered angel funds in approved investee companies would now not be taxable even if it is above the fair market value. 3. September, 2013- SEBI restricted investment by angel investors to an amount between Rs. 50 lakhs and Rs. 5 crores to safeguard such funds. Further, angel investors can now only make investments in companies that are incorporated in India which have a maximum turnover of Rs. 25 crores and they must have a corpus of minimum of Rs. 10 crores. Also, an angel investor is required to invest a minimum of Rs. 25 lakhs in an angel fund. 4. March, 2015- SEBI constitutes a standing committee ‘Alternative Investment Policy Advisory Committee’ (AIPAC) under the chairmanship of Narayan Murthy. 5. January, 2016- The AIPAC submitted its first report[i] which suggested that investors in SEBI regulated angel funds should be provided a tax deduction of up to 50% of the investment amount. Suitable safeguards to mitigate misuse of the provisions by non-financial investors/relatives of the promoter/promoter group can be considered. 6. June, 2016- The Central Board of Direct Taxes (CBDT) issued a Notification to exempt startups from angel taxes and as such, even if the funding raised by a startup is in excess of the fair market value, the investment would not be taxed under ‘Income from other sources’. The exemption is applicable even if the angel funds are not registered as Venture Capital funds. 7. December, 2016- AIPAC submitted its second report to SEBI with various recommendations including angel funds. 8. January, 2018- A number of Indian startups and members of the startup community started an online petition, seeking a revision of the angel tax structure. 9. April, 2018- The Department of Industrial Policy and Promotion (DIPP) announced an exemption regarding angel tax. Angel funds can now avail tax relief over issues of shares in excess of the fair market value if the aggregate amount of paid-up share capital and the share capital of a startup after the proposed issue of share is not exceeding Rs. 10 crores. Further, a startup can avail 100 per cent tax exemption through the form notified by DIPP for any three (3) consecutive years out of the initial seven (7) years. A limited liability partnership can also avail the same tax benefit if incorporated on or after the 1st day of April 2016 but before the 1st day of April 2021. [i] Alternative Investment Policy Advisory Committee’s First Report, Securities and Exchange Board of India, 43, available at https://www.sebi.gov.in/sebi_data/attachdocs/1453278327759.pdf.